All of us drink tea once in a while. Some of us drink it daily, even more times a day. Drinking a cup of tea may be the best part of the day for someone, especially if it is made in a nice glass or mug, has an amazing taste and is accompanied by interesting people (and interesting talks). However, tea lovers never stop at mugs and flavors, they want more! There are so many accessories, that it is almost impossible to choose between them! This is why we have decided to show you some of the most original products out there. This teacup is designed with cherry blossoms, which is a significant symbol, since some of the best teas in the whole world are produced in Japan. So, if you want to feel like you are in Japan and enjoy the best cup of tea of your entire life, then this product is for you! It has a double-walled design. Thus, the tea remains hot and you can drink it whenever you want. More than that, you also receive a stainless steel infuser basket and a matching lid. It is microwave and dishwasher safe. It may be the perfect design for your kitchen, as well, and it can make your mornings more enjoyable! If you love loose tea or like the taste of different herbs or even flowers in your mug, then this tea infuser may make your dreams come true. 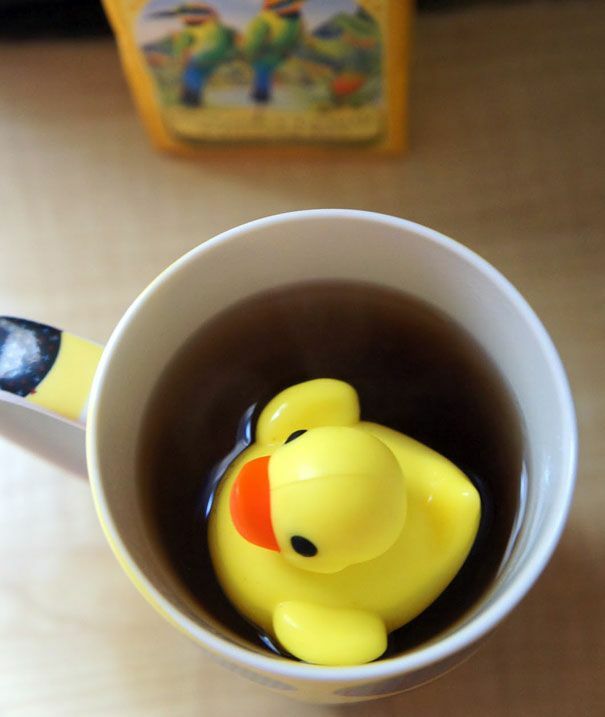 You just have to put tea in there and fill it with hot water. Then, you place the lid on top of the cup and let the patented drain mechanism do its job: it will let the tea flow into your mug, but the leaves will remain in the tea maker. It has four pieces so that you could clean the tea maker easily. 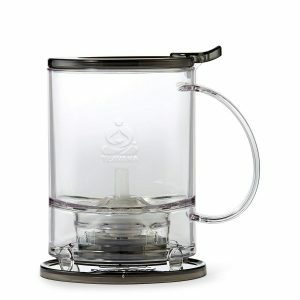 If you need something to save your time and enjoy your favorite loose tea, then this Perfectea Maker is for you! We know there are people who prefer loose tea and people who prefer tea bags. 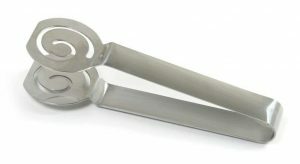 If you are one of the latter ones, then you definitely need a tea bag squeezer and this one may be your future “friend”. It has a beautiful design and it is made of stainless steel. It measures 13.5 cm. All you have to do is put the tea bag between the tongs and squeeze it. You may use it on a daily basis, while preparing your morning or evening tea, or you can use it on special occasions, like family meetings. It makes no mess and your friends will appreciate your accuracy and passion for tea. This stylish mug warmer may solve your problems at the office or, why not, at home. You will not have to make another coffee if you had a meeting and the one in the cup got cold. Not anymore! The power of this little accessory is 17 watts. Since it weighs only 9,6 ounces (272g), you can carry it anywhere. Of course, it can be easily cleaned. More than that, if you have a small teapot, then you can use the warmer with it, too. Just put your teapot on the warmer and let it do its job. If you like to decorate your house and, more than that, buy practical decorations, then you should definitely check this condiment holder. 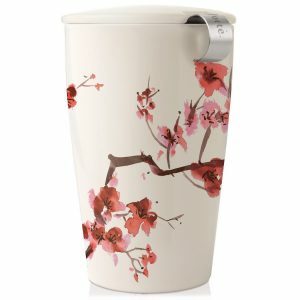 It has 9 compartments for tea, coffee, sugar, cups, napkins and even straws. Of course, it may be used in other rooms than the kitchen. 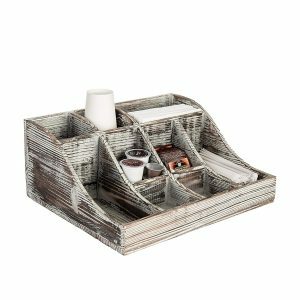 You can use this organizer to keep your makeup or art items, for example. It has a rustic wooden design, so it will find a place for this model in any rooms — just decide on the perfect spot for it and let it make your home unique and beautiful! The tea culture is one of the oldest habits of civilization in the entire world. And, while we may have gotten the pleasure from the Britons, nowadays we enjoy serving a cup of tea with the same delight wherever in the world. From London to India and to the farthest corners of the globe, having a cup of tea is not only a form of ritual, but also a means of relaxation, and a good way to start a conversation with a stranger. Naturally, the tea market has developed massively over the past few decades, including now a wide variety of tea flavors, pots, mugs, and accessories to enhance the ritual’s beauty and appeal to youngsters as well. And, speaking of accessories, we are sure you already own at least a couple of chai cups and some adorable accessories you cannot wait to show off at your next tea party. If you only wish to purchase these items now or enrich your collection of already existing tea accessories, you may find it a tad difficult since there are countless options to choose from on the market. Luckily for you, we are here to make things easier and decide what some of the coolest tea accessories you can find on the market right now or how to choose these items yourself are. Searching for some cool accessories tea is not an easy job, especially if you are choosing for someone else, as a gift. There are countless options so which one would be the best one? Read below to find our own tips and tricks on how to correctly choose these items and make sure they are unique, cool, and useful. The number one tea accessories will always remain the tea sets. These make great acquisitions to your home or could represent some good presents for birthdays, anniversaries, engagements, or other important events. The best accessories for tea usually consist of a set of two matching cups, plates, and spoons. We suggest pastel colors and floral designs for wedding gifts, engagement parties, and feminine birthday presents. If you plan on offering such a tea set to a male, you should try opting for more masculine designs, in harsh colors (black, gray, white) or industrial, rough prints. If you don’t know exactly what to look for, we suggest looking up for the best tea accessories reviews on the market or some special products available for sale on specific blogs or online shops. 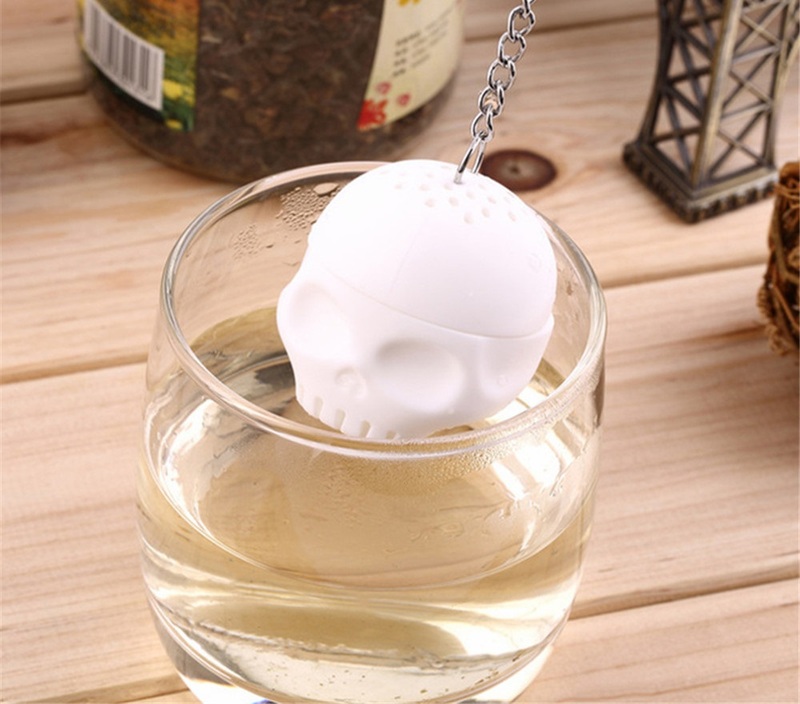 When it comes to other useful tea accessories, tea infusers are amongst the first items that cross our minds. Their shape and size have developed massively in the past decade, leading to an entirely new market or products. And, since we appreciate variety, we do suggest looking for innovative designs that will match your personality or bring into prominence any regular tea mug during a rainy day at work. Some of the coolest designs we’ve seen so far are in the shape of marine animals – from manatees to penguins, seagulls, dolphins or seals – these cute mammals made from silicone will allow you to use them on all cup sizes and enjoy a perfect cup of tea. You can purchase them online for less than 10 dollars, meaning you can easily offer them as a gift if you’re short on money. Other cool infuser ideas for less include these items in bright colors. If you care about your health and plan on drinking those 2 liters of liquids daily, an infusion ice tea pitcher could prove the perfect solution. Afterall, what better way to cool yourself down on a torrid summer day if not by drinking a delicious iced tea? The main difference between this product and other iced tea makers is that you can now ditch tea bags or powdered ones and directly use tea leaves. The lightweight design will allow you to store this item everywhere and, since you’re only going to use natural ingredients, you can create an endless blend of waters and teas that can help you lose weight or clean your body from toxins. If you only want to buy the tea cups, you are in for a treat! It is virtually impossible to choose only one or two that will be later added to your collection, so it is best to stay away from stores selling these items if you’re not entirely a rational buyer. For 2019 we suggest opting for innovative designs. From luxurious bird prints in gold tones and bright colors to minimalistic designs, the importance is to find unique cups that will certainly make you feel special whenever drinking your cup of tea. Some of the coolest designs we have stumbled across yet are entitled “The Undressed Tea Set” and present four different cups, each of them consisting of a doodled, naked feminine body taking a bath in your cup. Coffee lovers have their own coffee making machines so it would only be fair that tea lovers have something similar, appropriate for the 21st century. There are quite a few products on the market specifically dedicated to tea, but the one that we choose comes from the Breville brand. The stainless steel and glass classy design will fit into all kitchens and promises to deliver a delicious cup of tea each morning or whenever you fancy. 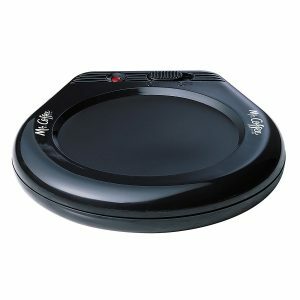 It will help you heat water at the perfect tea temperature and will automatically lower the tea basket into the water. Once the magic potion is made, the same product will lift the basket out of the water so that you can enjoy the perfect taste, without over-steeping. This is a practical and cool alternative to regular teapots so, if you’re into drinking tea more than the Queen herself, it could prove a useful gadget to have in your kitchen. As a bonus, this item will also keep your tea warm and ready to drink for up to an hour.